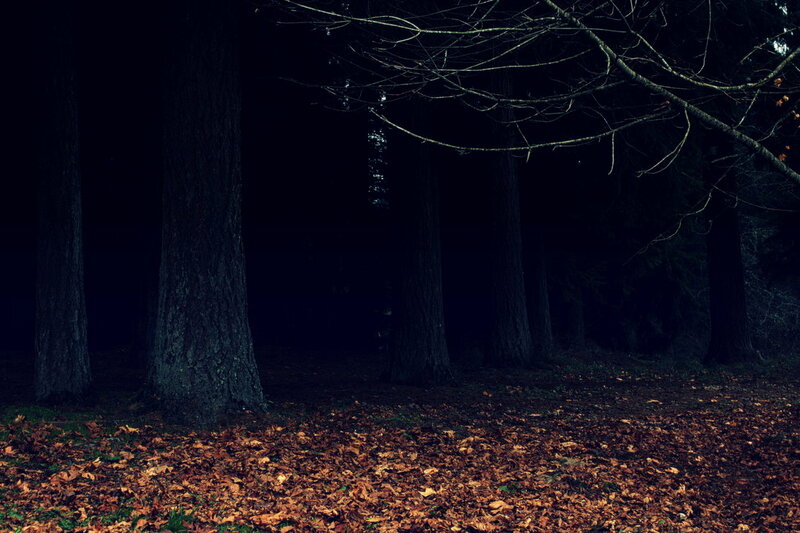 It doesn't really matter how you found yourself in these woods at night. Maybe you came on a date with the plans of fooling around far from prying eyes. Maybe this was a weekend camping trip that you had thrown together at the last minute in hopes of escaping the monotony of the daily grind. Maybe you came here with some college friends and a case of beer, ready to cut loose where things could get really wild without getting shut down. The why doesn't matter now; all that matters is that the people you came with scattered in fear and now you're sitting here in the darkness, completely and utterly alone. The ground is wet and soft under your feet from yesterday's rain. The trees in this part of the forest are so thick that the sun never reaches the turf here, meaning that it's constantly damp and cool, especially this late at night. Or should you say early in the morning? It's well past midnight, but still hours until dawn. You're caught in that time that's supposed to be...what did they used to call it? The Witching Hour. Somewhere around 3 a.m. when the ghosts and the goblins and the monsters wander in our world, free from their prisons. You never used to believe in stuff like that. Then again, you never heard a sound like you did a few minutes ago, either. That sound...like a scream, but definitely inhuman. It wasn't just you that heard it. When it first sounded, like a distant siren, it had seemed so far away. You laughed about it! 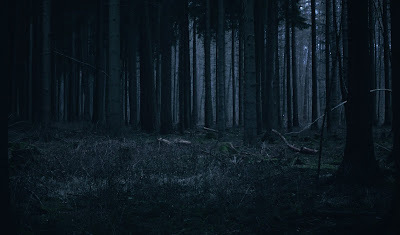 What in the world would make a noise like that this deep in the forest, this deep into night? Someone joked that it sounded like a coyote mixed with a bear, but when it sounded again, closer this time, no one was laughing. The third time had been the final straw, so close it sounded like it was right on top of you. Looking back on the sound, you wonder if there had been TWO of whatever it was that was making the awful howl. In a panic, everyone had fled blindly in different directions. You didn't mean to get separated, and you certainly didn't intend to be here by yourself, crouching against this tree to catch your breath and listening intently for the sounds of...well, of anything. You strain to listen, hoping for the relieved murmurs of another human being, but that comfort doesn't come. All you can hear is your own racing heartbeat as it pulses through your ears. It's deafening! Surely if something was chasing you, it would be able to pick you out easily because your heart is beating as loud as a drum. You wish, not for the first time, that you knew more about bears and what to do if you're being chased by one. It was stupid to come here. All you want to do is find your way back to the car and get out of here as fast as you can. You take one deep breath and hold it, making a final attempt to listen for signs of life around you. Who knows what you expect to hear: heavy footsteps? Birds? The scurrying of squirrels in the trees all around you? But you hear nothing, and so you muster up every ounce of courage within yourself and determine to slowly and quietly make your way back the way you came. That's the plan, at least; because you were so frightened when you began running, you aren't sure which way you actually came from. You certainly weren't thinking about a path or leaving a trail. You'll have to try to find your way back using a lot of luck. It's too dark to see much of anything, but you know you have to try. 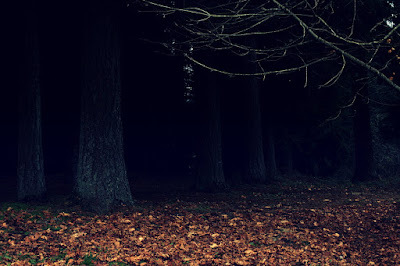 You can't stay here against this tree until dawn...can you? You peek around the trunk you're hiding behind, hoping to see a splash of color in the blackness that would indicate someone's clothing. There is nothing. As quietly as you can, you start walking, almost tiptoeing on the wet leaves that cover the ground. Thankfully, your steps don't make much of a sound besides a quiet, flat padding noise, and you're thankful that the leaves beneath your feet aren't dry because whatever you ran from would be probably able to hear you from a hundred yards away. Then you realize that whatever you were running from would also be able to walk with just as much stealth and subtlety as you, and any relief you felt is gone in an instant. Your heart stops for what feels like long minutes as time stretches into an infinity loop. Fifteen feet ahead of you, silhouetted in the scant moonlight that has managed to break through the trees, is a hulking shape. It's too big to be a bear, unless it's a bear standing on its hind legs. But could stand on its hind quarters and remain so still for this long? You stare at it, trying to trace the edges of the shape and define whatever it is that blocks your path. It's huge, probably seven feet tall, maybe more. Your mind flashes through all the known animals that could be this large, but you can only think of a bear. Then your breath catches when you see its eyes. 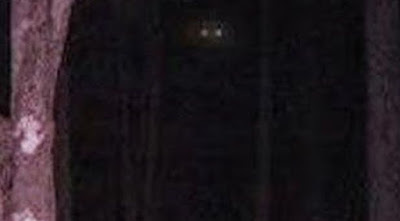 Those aren't the eyes of an animal. They're like gorilla eyes, intelligent. Wait, could this be an ape? It certainly seems ape-like, at least in general body composition. If only you had more light and could better distinguish this thing's features! The eyes are what introduce curiosity to your fear. There is no malice in those eyes, but there is no friendliness in them, either. The eyes of a coyote or a cougar betray the intentions of the beast themselves, but these eyes seem to mean you no harm. 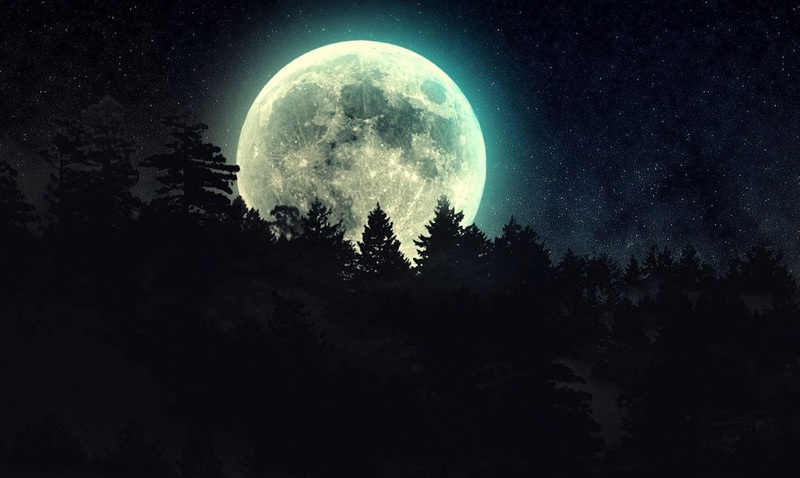 They simply stare, twinkling in the moonlight. You are acutely aware that you are being observed and that your actions will dictate how this situation plays out. Your heart knows that you are staring at a creature that science has dismissed. Bigfoot, skunk ape, sasquatch, they're all just different names for the same thing, something your rational mind has never believed in. After all, if such a creature existed, how come there has been no photographic evidence? How come no bodies have ever been found? Remembering your phone in your pocket, you realize that you are carrying a camera with you at all times. If you could shoot a few seconds of video or snap a photograph, you could provide evidence yourself. The fact of the matter, however, is that you're too afraid to reach into your pocket for your phone, and you're definitely too smart to try to capture this thing on video. It somehow seems to know you mean it no harm...or rather, you are so insignificant that you couldn't possibly be a threat. But if you move to take out a device from your pocket? How will you be perceived then? As you think about this, you realize that the shape is gone. You didn't see it leave and it never made a sound; it simply wasn't there anymore. Realizing that the path ahead of you is now open, your escape is once more the only force driving you. Slowly you take a step, and then another, expecting the beast to reveal itself once more, maybe this time with the intentions of harming you. But there is nothing. For all purposes, you are once again alone. How could something so large move so quietly so quickly? It's almost as if it phased out of existence. Had it all just been your imagination? The product of adrenaline? Your soon discover your campsite and the car, your trek uneventful but your mind flooded with questions that have no answers. Soon whoever you came here with is also at the car as well, but they've seen nothing. Even though everyone is ready to go, they're starting to laugh at themselves for being so skittish and being frightened so easily by that noise. You keep your story to yourself, knowing that somehow no one would believe you even if you shared it. You aren't sure you believe it yourself, and you're still wrestling with what you saw even as you are packing up the blanket you brought and quickly digging your keys out of your pocket. As you climb into the driver's seat, you hear the blood-curdling howl one last time, not close, but also not far away. All humor and chatter dies as you quickly turn the engine and drive out of the woods a little faster than you probably safely should. This is a moment that will define you and haunt you for the rest of your life. Did you really see something? It seems impossible, but you know you had an experience that you can't explain. You're just like the thousands who have seen something beyond rational explanation yet have no proof. 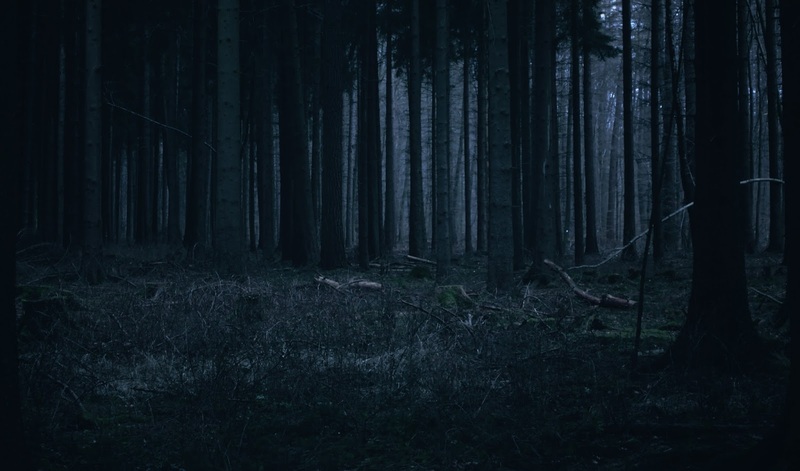 You don't bring it up because you know it makes you sound crazy, but you will forevermore be both fascinated and afraid of the woods. As long as you live, you will have recurring nightmares about your experience, and you'll wake in the night on sweat-soaked sheets with the image of those piercing, intelligent eyes haunting you long past the dawn.